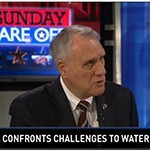 Former Arizona Sen. Jon Kyl says the state must act now to ensure a sufficient supply in the future. 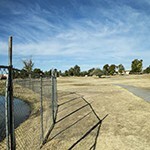 The declining popularity of golf, an surplus of courses, and the cost of water are causing many courses to struggle and some to close. 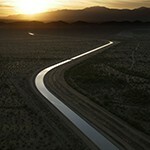 Jon Kyl & Grady Gammage, Jr. on priorities for ensuring reliable water supplies into the future. Conservation isn't always straightforward. 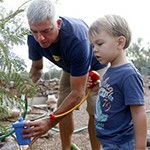 Tucson rain water harvesting rebates are not yielding a reduction in demand, yet may be expanded. 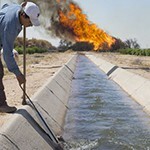 Ongoing drought, shallow aquifers, and growth are some of the factors affecting domestic wells on the periphery. Two studies make the case that markets and prices are part of the tool kit to combat scarcity. 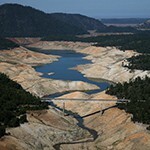 Officials said the deal highlights the changing attitudes cities are taking toward predicted water challenges. 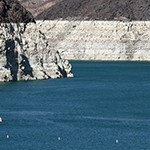 $100,000 New Arizona Prize challenges innovators to raises awareness of the challenges facing the state's long-term water supply. 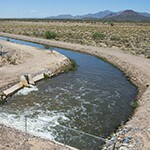 Yuma groundwater district will study water savings from fallowing for three years.